More than 500 smallholders in Vietnam are now experiencing the benefits of FSC certification. 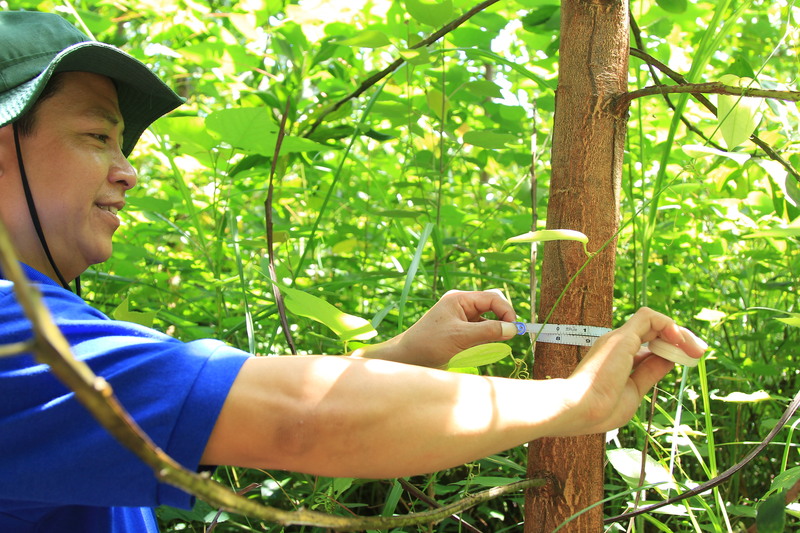 More than 500 smallholders in Vietnam are now experiencing the benefits of FSC certification, as a group certification project supported by WWF and IKEA continues to go from strength to strength. 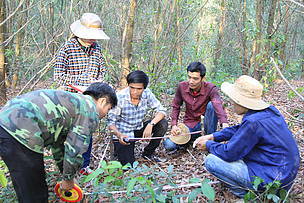 The Association of Quang Tri Smallholder Forest Certification Groups was issued a new five-year certificate for 2015-20. It covers a total of 1,393 hectares of acacia plantations belonging to 517 smallholders in Quang Tri province, central Vietnam. The group certification model pioneered in Quang Tri reduces the financial and administrative burden of obtaining certification for smallholders. The first group certificate was issued in 2010, covering 118 households and 316 hectares of plantations. The Quang Tri group has since grown to include 30 sub-associations encompassing 51 villages. FSC-certified wood is in demand in Vietnam. The country has a big furniture export industry but the markets it supplies, particularly in Europe, are increasingly demanding FSC certification. With limited FSC supply within the country, many manufacturers have to import certified wood from abroad. FSC timber in Vietnam currently fetches around 15-20 per cent more than non-certified wood – and by selling directly to factories as an association, rather than through traders, Quang Tri smallholders can further boost their income. Le Bien Hoa is one of the many smallholders to have benefited from the programme. Having participated in the original group certification in 2010, he admits that he knew little about forest certification before the project began. Negotiating with buyers and following the FSC standard was initially quite confusing, and he still remembers the sense of shock that group members felt when they first sold their certified wood. Group members have made a number of improvements in the way they manage their plantations. While acacia is often harvested after just 4-6 years, Quang Tri members have extended the rotation period to 9-11 years to produce better-quality timber for furniture manufacturing. Native species are planted alongside the acacia, particularly in buffer zones around rivers, streams and lakes, which supports biodiversity and natural ecological cycles. Controls around both planting and harvesting – such as limiting clear-cuts and avoiding burning vegetation – help to improve soil quality and prevent erosion. WWF has provided ongoing training and support to help smallholders improve their forest management practices and to strengthen their business model. IKEA, the Swedish furniture giant, has provided financial support to the programme as part of its commitment to increasing the supply of FSC-certified timber in key producer countries. IKEA’s local suppliers such as Scansia Pacific Company are important customers for the Quang Tri smallholders. Scansia Pacific also sources from two larger Vietnamese plantation companies which have also just achieved FSC certification, with advice and support from WWF. 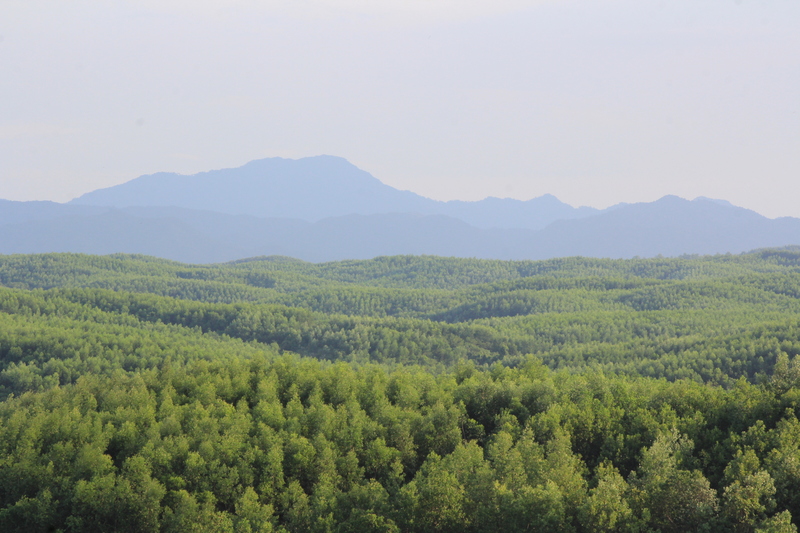 Trieu Hai has successfully passed its FSC audit for 5,228 hectares – 3,661 hectares of acacia, 1,128 hectares of pine and a 438 buffer zone/green belt. Meanwhile, Road No.9 achieved certification for 4,870 hectares. 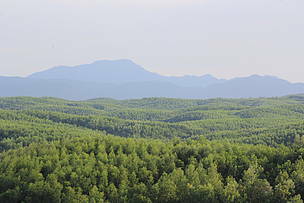 Vietnam’s national forest strategy aims to certify 30 per cent of the country’s 4.48 million hectares of production forests by 2020. Local government and farmers in the neighbouring provinces of Thua Thien Hue and Quang Nam are keen to follow Quang Tri’s successful model and to pursue FSC certification. Farmers and government officials from Yen Bai and Bac Kan provinces in northern Vietnam have also visited the project with a view to replicating it. WWF is in discussions with the UN Food and Agriculture Organization (FAO) on how to support this. Mr. Doan Viet Cong, vice chairman of the association's management board at the provincial level, conducts monitoring activity in Gio Linh district, Vietnam. Forest in the Trung Son commune, Gio Linh district, Vietnam. Forest monitoring activity, Trung Son commune, Gio Linh district, Vietnam.